Home » Animals » Facts » Knowledge » Science » Top 3 Animals that are Amazingly Genius! Top 3 Animals that are Amazingly Genius! When we people talk about smart animals. We usually talking about great apes, sometimes parrots, maybe crows, or octopi because those were trying to be indie. Well, yes those animals are all super smart! What about pigeons? 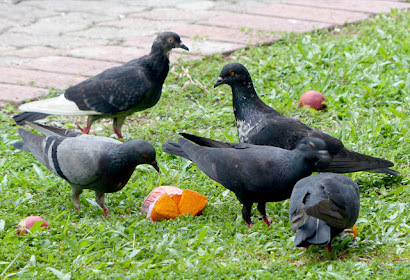 According to a 2009 study by the University of Ohio and the National Research Center of France, pigeons can match objects according to completely abstract qualities. By picking up a touchscreen, pigeons first about demonstrated that they understood that two pennies were the same and the two nickels where the same. And then a penny and nickel were different and so on. These are called Match-To-Sample Problems. Sounds simple enough, right? Then, the researchers showed the pigeons multiple sets of coins and the pigeons understood the two pennies were similar to two nickels and two pennies were different from a penny and the nickel. They understood the two things that are the same have sameness—in common with two other things that are the same. Categorizing objects based on abstract relationships like this was once thought to be something only humans could do. Now that club has widened to include humans, great apes, and pigeon. Meanwhile, rats have demonstrated capacity for Metacognition; the ability to think about your own thoughts. 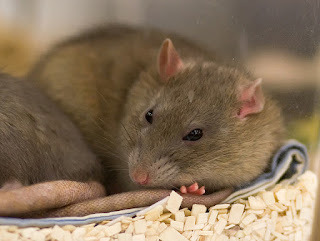 At the University of Georgia, rats were given what's called a Duration-Discrimination Test. Researchers would play them a tone and the rats will be given options to categorize that tone as either short or long. If they got the right answer they got a big reward and if they got the wrong answer, they got nothing. However, the rats were also given a small reward if they declined to take the test at all. If only our high school like this, imagine going in to take your final exam the teacher stab you at the door and said, “Hey, you can just walk away for a see.”? If you thought you can get a higher grade on your own, then go ahead and take the test! But if you pretty sure you gotta bomb it that seems sound pretty good. It's a choice though that calls for the ability to know that you don't know something. Rats had no problem with that concept when the link to the tones got harder and harder to discriminate. They were much more likely to just decline to take the test. Get their little reward. You probably also know that pigs are smart. But did you know that pigs will lied too and trick other pigs? Not only have the pigs fly-through the conventional animal intelligence tests. 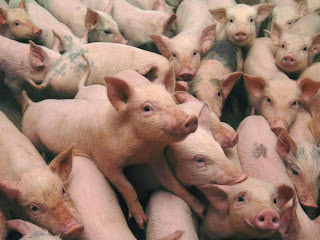 Pigs passed the shady of measurements of animal cognition like testing the capacity to screw each other over. First, they let a small pig explore the room once it found the food they lead it out again and then bring it back in with a much bigger pig friend. Bigger pigs quickly learned to follow the smaller pigs who remembered where the food was. They just muscle the little pig out of the way and take all the food for themselves. So, the small pigs learned to trick the big ones. They’d leave the big pigs down blind corridors or wander around the room until the bigger pigs gave up on following them or just dash off as soon as the big pig back was turned. So, pigs can be duplicitous just like us. Actually, all these experiments essentially defined intelligence as thinking like humans. However, there are a lot other animals that may not exhibit higher reasoning as we describe it but are much better at certain kinds of thinking than we are. Like a honey bees ability to make an internal map which let it find its way straight home even if you drop it in a completely unfamiliar place, or a nutcracker his snack for remembering where it's cashed up to 30,000 of nuts each year. It may turn out that animals can do many things that humans can do—just—not as well. This just makes our world an exciting place to be. Booze your mind with answers to questions you never thought to ask. Packed with more educational stories than ever before. Kwentology and team of Kwentologist provide fast facts, up-to-date information, and notable news in every pages. Plus games, trivia, and more! Thank you for reading Top 3 Animals that are Amazingly Genius! posted on the website Kwentology if you want to redistribute this article please include the link as the source. Have some kuwento to share? Contact us!